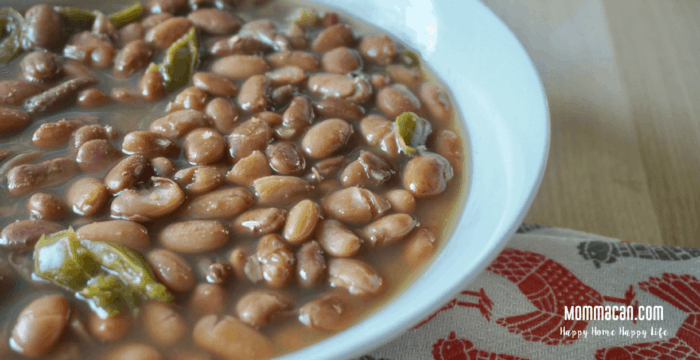 This No Soak Vegan Pinto Bean Recipe is awesome because it uses kitchen tools you have on hand. No need to purchase expensive Instant Pots or complicated new and improved slow cookers. Use what you have! Make some tonight and freeze the leftovers for chili or burritos! The best recipe for stovetop pinto beans. Everyone in the world is raging over Instant Pot cooking or turn to their old trusty slow cooker. I admit I use both willingly on busy days. But I truly prefer the taste of stovetop cooking, especially with savory soups and sauces. I also love using my stove top for cooking beans. I feel beans cooked on the stove top just taste better. Cooking beans are part of my childhood. I can remember walking around the kitchen while my mom was stirring the beans. She would test the beans for tenderness by dipping a large wooden spoon into the bowl and pulling up a few. She would mash one and then I would eagerly mash another and then eat the beans that were left. By the time supper was on the table, my younger self-was already “full of beans.” But I knew there would be cornbread so I would sit and shuffle my feet impatiently through the family dinner prayers waiting for a hunk of cornbread and a little bowl of brothy beans. 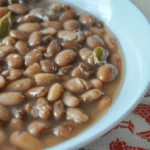 Today I am sharing a simple recipe for stovetop pinto beans, the particular recipe is a no soak vegan pinto beans recipe, and even though it sounds like it would take all day to make them, it takes around two hours of cooking time, and much of that is at a simmer. This recipe uses a quick soaking method, which works! Large stock pot. I prefer stainless steel. I use this one . I also love this one from Kohls. Note I usually double this recipe for the freezer, so I choose the 8qt pot, but 4-5 quarts are just fine for one pound of beans. The best no-soak method for pinto beans. Eat half and freeze a batch for chili or burritos! Sort dried beans, removing any tiny mud clots, little rocks, or bad beans and discard. I use a large cutting board to sort our beans. Place sorted into the stockpot and cover with water about two and a half inches above beans. After resting the beans, stir in salt and any spices you love. If you choose to add the can of jalapenos only add 1/3 of the jar, it can get pretty spicy. Bring beans to a boil over medium heat. When beans start to bubble reduce heat and simmer for 1.5 hours or until tender, you can pierce them easily with a fork. Check after around 45 minutes and again at the hour mark to make sure beans are still immersed in enough water, add water as needed. Enjoy your tender, yummy beans! This looks different. My Mom made baked beans and I always got mush or bullets. Pinning to try. Hi Pam, thanks for sharing this – I’ve never cooked beans without soaking overnight. Interested to try this recipe. And your refried beans sound delicious! Thanks for sharing! They sure look good. WE love pinto beans! 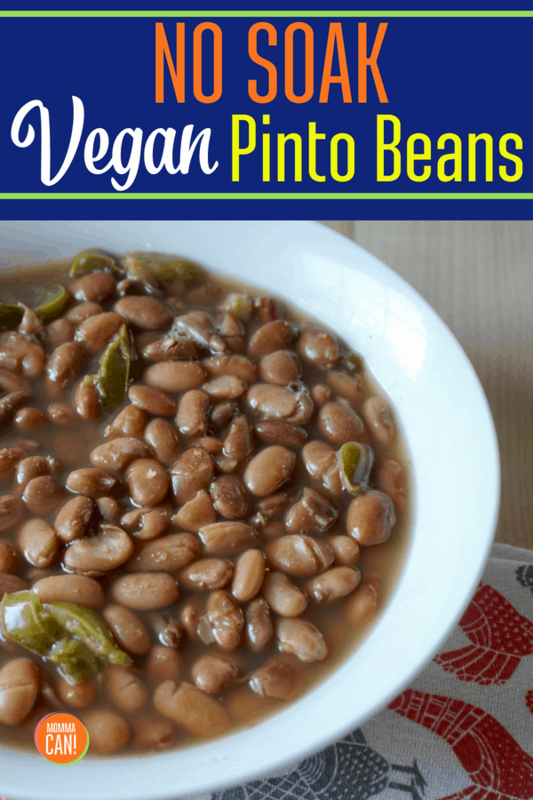 I can’t wait to try this vegan pinto beans! Sounds so good. My husband and I both love pinto beans and cornbread. It is the ultimate comfort food! Congrats Pam! Your post is Featured! The best beans on the web.